Burn off ovens utilize the process of controlled pyrolysis to remove contaminants from different types of components. A result of this process is the creation of smoke and fumes, which can be dangerous for people, or the atmosphere. Hence, burn off oven manufacturers need to design their ovens such that the pyrolysis process will not harm people or the environment. High temperatures within the burn off oven help break down the contaminants from a component, and thus produce hazardous fumes and smoke. These emissions are controlled by afterburners, which are a part of the oven design. Also known as oxidizers, afterburners create minimum temperatures of 1,400°F. This allows the oven to further break down the contaminants to water vapor and carbon dioxide. Hence, when these emissions are discharged into the atmosphere, they do not pose any threat to the environment. The oven’s afterburners should meet the minimum dwell time as provided by the agency. Agencies also require the oven to process certain amounts of combustible and harmful materials within a certain period of time. Generally, the amounts can range from 30 to 80 lbs., and the processing time is about an hour. 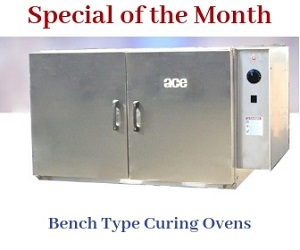 The user should acquire permits to install and operate the burnoff oven in his facility. The oven should meet with the state’s air quality regulations. Manufacturers and users should also utilize chart recorders to provide hard data to the air quality agencies. Armature Coil Equipment (ACE) designs the burnoff ovens such that they will meet and exceed the minimum air quality requirements of state and regional agencies in Ohio, and the rest of America. The afterburners in our ovens allow complete processing of combustible materials. Hence, any emissions from the ovens are harmless, and absolutely safe. Contact us for more details.